Realtyna clients took a giant leap forward in 2018 with new products, MLS, and themes, as well as, new partnerships and channels to keep up with real estate tech. It’s actually pretty amazing to see all the new options Realtyna clients have today compared to a year ago. And more is on the way for 2019. But before we turn the page on 2018, let’s take look back at some of the year’s highlights. The year started off with a splash when we introduced our Property Analytics Add-on. Launched in March, this add-on allows ours clients to import historical pricing, foreclosures, unit sales, and other data to their sites and integrate it in their listings. The real estate industry is evolving faster than ever. Leads want more and more information before making a purchasing decision. Property Analytics is our way of staying ahead of the game and giving our clients the tools they need to succeed. In May, we released WPL API Plugin, our first software tool built exclusively for developers. The plugin allows users to interface with the WPL platform via application programming interface. Real estate technology is a partnership between vendors, agents, and developers. To create a robust IDX site, each one of these partners needs to succeed in their work. WPL API Plugin is designed to support developers by allowing them to engage with Realtyna products faster and on a deeper level. June 2018, was as milestone for Realtyna. That month we released the Facebook Add-on, meaning for the first time, Realtyna clients could select and send listings to Facebook for use in ad campaigns. Facebook Add-on allows Realtyna clients to expand their lead generation activates and deepen marketing strategies across networks. The potential Facebook offers for real estate is well known, and we are supremely excited that our clients have a new tool to tap that potential. The possibilities for Realtyna users grew exponentially in October when we released Zapier Add-on. This add-on allows users to automate tasks and transfer information between WPL and Zapier, a tool for connecting previously incompatible software systems. With Zapier Add-on Realtyna clients can send information from their IDX website to any other software service (such as a CRM) that works with Zapier. School Info Add-on is back by popular demand. Reintroduced in October, this add-on allows Realtyna clients to add school ratings to their listings via the greatschools.org API. School Info is just another way we empower our users to provide high quality, information dense listings for their leads and clients. We take security seriously at Realtyna, so to ensure the quality and stability of our sites, we launched complimentary SSL certificates in August. Under this program, any clients that host with Realtyna will have their site automatically upgraded to HTTPS, meaning all connections to their site will automatically be secured. For us and for agents, it’s simply one less thing to worry about. We listened and we delivered. Back in July, we rolled out Product Bundles, one of the most requested items from Realtyna users. Now our clients can choose from six packages containing our most requested plugins and add-ons or choose their own bundle for maximum flexibility and savings. The past year also brought many new MLS connections. Realtyna became a vendor for Bright MLS, ORTIS, and I-Tech. We also began offering listings from FMLS in the Atlanta, Georgia area. Our products have now been used to connect to more than 100 MLS in the U.S. and Canada and we have plans for many more in 2019. Last year wasn’t only about products and services, though. Realtyna also made advances in technology. 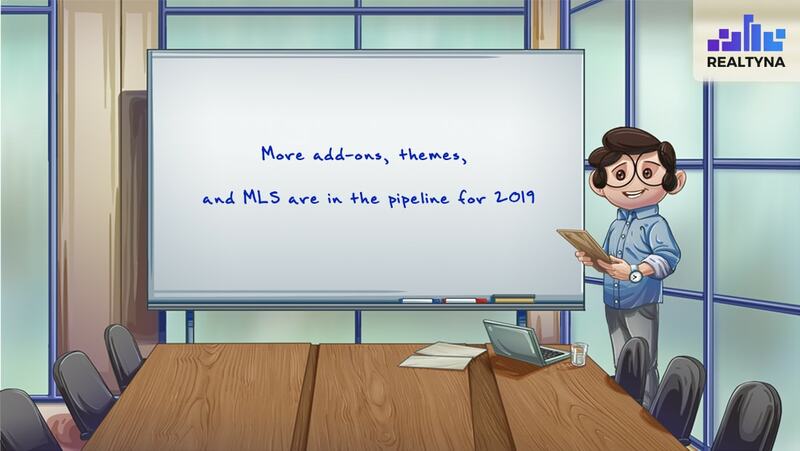 In October, we launched MLS API, a new offering for connecting your site to MLS listings via application program interface. MLS API allows Realtyna clients to make direct calls to the listing database, limiting hosting a security costs. All the hard work is paying off as Realtyna got some recognition for its contributions to the real estate tech industry. We were chosen among the top 8 WordPress real estate plugins by Kinsta and Credit Donkey tapped us for its best in real estate category. Our blog on using LinkedIn as a real estate agent was included in a roundup of lead generation ideas by FitsSmallBusiness.com. We also received 100+ positive customer reviews. 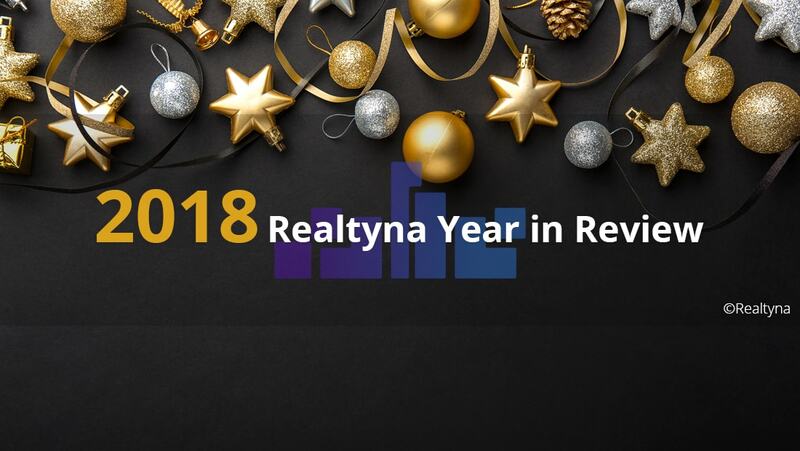 Finally, 2018 saw Realtyna open new channels to communicate with and learn from our clients. In April and August, we improved the exclusive content on our LinkedIn and Instagram pages, and the feedback has been wonderful. The Realtyna community grew by leaps and bounds in 2018, and we couldn’t be happier about the way things progressed. There’s more on the way, so stay subscribed to our channels for new products and updates.